Tequilita came on late to win the 2017 Grade 3 Charles Town Oaks. Photo by Coady Photography. Multiple stakes winner Tequilita, whose two career graded victories have come at seven furlongs, can add another chapter to her sprint success story in Saturday’s $75,000 Twixt Stakes at Laurel Park. The 36th running of the seven-furlong Twixt for fillies and mares 3 and older serves to highlight an 11-race program and would mark Tequilita’s return to Laurel for the first time since the 4-year-old filly’s first stakes triumph in the 2016 Smart Halo, run at six furlongs, to cap her juvenile campaign. Trained by Fair Hill, Md.-based Michael Matz for his wife, owner-breeder Dorothy Alexander Matz, Tequilita has been something of an enigma at longer distances, mixing strong performances with others that leave the connections scratching their heads. In May she closed to be third, beaten 1 ½ lengths, in the one-mile Ruffian (G2) at Belmont Park, but finished evenly after racing in contention in her subsequent and most recent start, the 1 1/8-mile Obeah Stakes June 16 at Delaware Park, where she ran fourth as the favorite. Tequilita had gone the two-turn route before, finishing second in the 1 1/16-mile Gulfstream Park Oaks (G2) and seventh in the 1 1/8-mile Kentucky Oaks (G1) last winter and spring. She opened 2017 by winning the Forward Gal (G2) at Gulfstream and, after a third in the Test (G1) at Saratoga, she captured the Charles Town Oaks (G3) last fall – all three races contested at seven furlongs. Feargal Lynch will ride Tequilita from Post 8 in a field of 11 at co-highweight of 124 pounds. Lynch was aboard when Tequilita was fourth by 1 ½ lengths in the seven-furlong Raven Run (G2) last fall at Keeneland. Though winless in her last four starts, she has been beaten by an average of less than three lengths. Sharing topweight with Tequilita are fellow stakes winners Absatootly, Bishop’s Pond, Lake Ponchatrain and Power of Snunner. Newman Racing homebred Absatootly, based in New York with trainer Charlton Baker, is a perfect 3-for-3 lifetime at Laurel, having won the six-furlong Primonetta Stakes in April 2017. The 5-year-old Mineshaft mare has won one of eight starts since, the Iroquois against New York-breds last October. Jason Servis-trained Bishop’s Pond has gone unraced since fading to last after prompting the pace of the 1 1/8-mile Santa Margarita (G1) March 17 at Santa Anita. The daughter of two-time Horse of the Year and Hall of Famer Curlin won her only previous try at Laurel, the one-mile Thirty Eight Go Go Stakes Jan. 8 to kick off her 6-year-old campaign. Power of Snunner will be making her 38th career start in the Twixt seeking her fifth stakes win and second against open company. Owned and bred by James Courtney and trained by Tim Kreiser, she has 10 lifetime wins and is unbeaten in two tries at seven furlongs, the last coming in the Foxy J.G. Stakes against Pennsylvania-breds April 28 at Parx. Ernest Haynes owned-and-trained Lake Ponchatrain owns 13 career wins and has finished in the top three in 27 of 36 lifetime races, with a record of 3-3-2 from eight tries at seven furlongs including the Dance to Bristol Stakes April 21 on her home track at Charles Town. 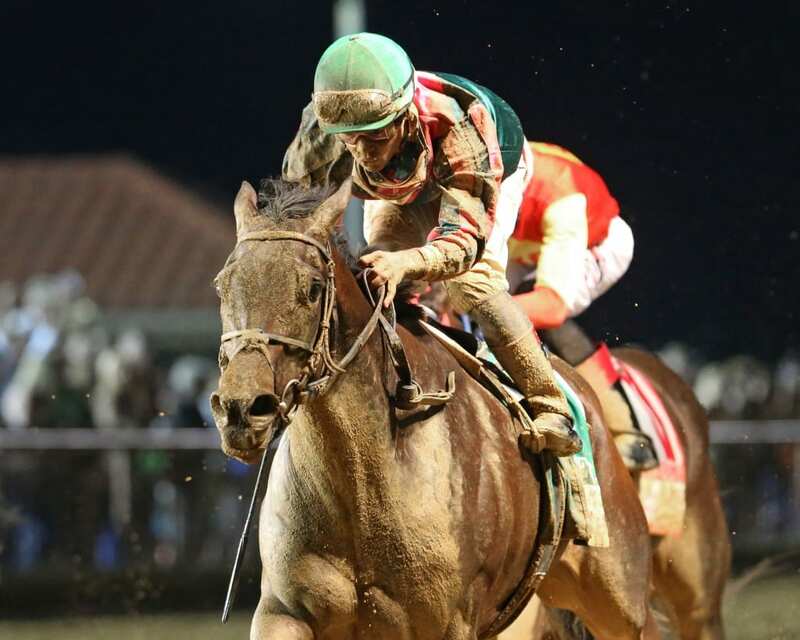 The 6-year-old Afleet Express mare has won four of her last five starts, closing to be second by a nose in the six-furlong Dashing Beauty Stakes July 7 at Delaware Park. She was eased when trailing the field in the 1 1/16-mile Gallorette (G3) over a soft turf course at Pimlico on the Preakness (G1) undercard May 19. Haynes claimed Lake Ponchatrain for $25,000 in October 2016 and since then has won six of 19 starts with five seconds and two thirds. Nine of those races have come in stakes, also winning Charles Town’s 2017 Pink Ribbon, one start after finishing third in the Shine Again at Laurel. “When I claimed her, every time she’d run she’d stumble out of the gate and she’d be last by 15 or 20 and then she’d just circle the field and beat ‘em. I said, ‘If I can ever get this horse breaking out of the gate she’s got to be a stakes horse,’” Haynes said. “So, I went ahead and claimed her here at Charles Town, which not many people claim for $25,000, and I took her over to the gate. Daniel Centeno has the call on Lake Ponchatrain from Post 10. Also entered are Aura Rose, D.J.’s Favorite, Magical, Not Taken, Squan’s Kingdom and Still There. Peter Blum homebred Magical takes a two-race win streak into the Twixt, which will be the stakes debut for the 4-year-old Tapit filly in her sixth career start.